Rayhan Arora’s long cherished dream is to be a filmmaker in the Hindi Film Industry but his formidable father has other plans… a successful financial career in Corporate America, and a marriage of convenience with Vanita, a medical student in the US. 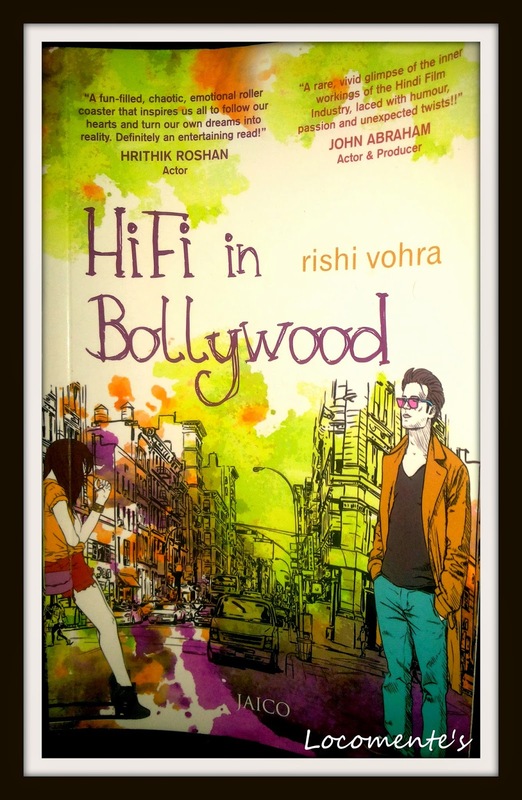 HiFi in Bollywood takes the reader from the streets of Berkeley to the film studios of Mumbai; from red-light areas to police stations, and from reality to dreams and back to reality again! Rayhan who has the dream to make it big in the bad world of Bollywood. But, his father wants him to settle down in a corporate life, get married and live happily-ever-after in USA. He is determined and goal-oriented. He knows what he wants and comes across as a well-mannered person. Romesh is Rayhan’s autocratic father. He is strict and follows the mantra – my way or my way. He is short-tempered and is almost a dictator. However, he is not villanoeus. He is like any other Indian parent who only think about their child’s future and their well-being; who always treat their children as infants even when they are grown-up! Then there are several other characters. Their characterization is well-developed that they become an integral part of the story. To begin with, the title is new and gives a clue about what can be expected out of it. (HiFi stands for Hindi Film Industry). The cover page is vibrant and I loved the sketch. The book blurb gives a summary of the plot. Thus, one look at the book, any potential reader would be drawn towards it. The story unravels slowly giving a background about Rayhan, his dreams and aspirations, his life and so on. It also elaborates the relationship between Rayhan and his father Romesh. Soon we come to know that Rayhan is forced to get married to US born Indian, Vanita. That’s when the story really begins. Rayhan’s desperate desire to be a film director in Bollywood and his experiences as an Assistant Director are nicely narrated. It also has a sub-story about his childhood friend, his maid’s daughter Mangala. The author having been a part of the entertainment industry has tried to give a flavor of how the reel world look in real life. The narrative flows with ease, especially after first few pages. There is a wonderful twist in the end which makes this book filmy. There are some typo errors. With a little more care, it could have been avoided. Rayhan’s love for Viola looks sudden and not convincing. A breezy read – prefect way to kill time on a lazy weekend. Further, you will enjoy this more if you are an ardent movie buff like me!!! the cover looks funky! nice review! I am a sort of a movie buff too! I might like it, thanks for the recommendation! Nice review. I like your little-little verses much,Satya.